Casino gross gaming revenue (GGR) in Macau’s VIP baccarat segment expanded by 35 percent year-on-year in the third quarter of 2017, according to data released on Monday by the local regulator, the Gaming Inspection and Coordination Bureau, also known by its Portuguese-language acronym DICJ. VIP’s share of all casino GGR was also on the rise judged year-on-year. VIP baccarat GGR in the July to September period was 57.7 percent of all casino revenue, at approximately MOP38.69 billion (US$4.81 billion), compared to MOP28.65 billion in the prior-year period. In the third quarter 2016, VIP baccarat was nearly 52.1 percent of GGR. Mass-market GGR – including that from slot machines – in the third quarter this year was up 7.4 percent year-on-year, to MOP28.32 billion, compared to MOP26.36 billion in the prior-year period. The market aggregate for all casino GGR in the third quarter 2017 had been reported on October 1 by the gaming bureau as standing at MOP67 billion, a year-on-year rise of 21.8 percent. In the latest third quarter, mass-market baccarat accounted for MOP20.88 billion, or 31.2 percent, of all casino GGR. In the prior year period it had been MOP19.47 billion, or 35.4 percent, of all casino GGR. In the third quarter this year, revenue from mass-market baccarat increased by 7.3 percent year-on-year, according to Monday’s data. Slot machine revenue in the three months to September 30 this year rose 13.4 percent, to MOP3.22 billion, compared to MOP2.84 billion last year. The number of slot machines in the market during the third quarter of this year rose 0.7 percent sequentially to 16,310, compared to 16,204 in the previous quarter. Casino GGR from live multi game – a category of electronic tables using a live dealer but electronic betting and bet settlement – rose 0.3 percent year-on-year in the third quarter of 2017, to MOP613 million, compared to MOP611 million in the prior-year period. 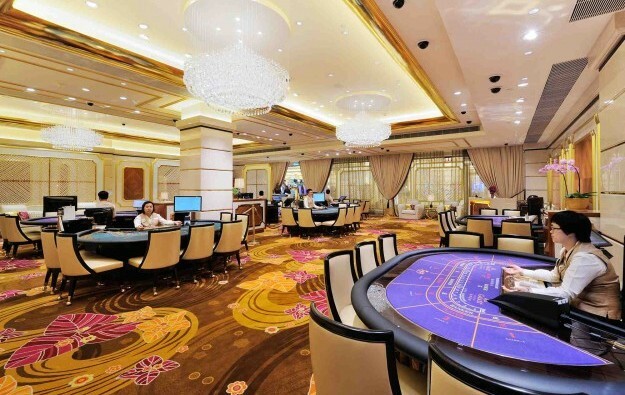 The number of live dealer tables in the Macau market rose 0.6 percent quarter-on-quarter, to 6,449.